3/4" Copper 45deg Elbow. This Premium Copper Fitting is specifically designed to connect various sized lengths of copper tubing and other copper parts together and direct the movement of water or gas depending on the application. This fitting is equipped with sweat (non threaded) connections, and requires copper flux (a liquid cleaning agent), and solder to create a leak proof and permanent connection. Note: For best copper solder connection, use open mesh or emery cleaning cloth to clean the inside of the fitting and outside of pipe. 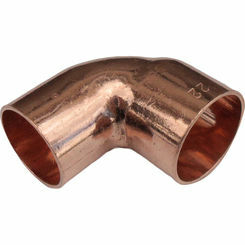 This CPL4534 3/4" Copper 45deg Elbow is designed to be used in a wide variety of potable water applications. This Fitting offers you quality, and delivers top value in commercial, industrial and residential applications. 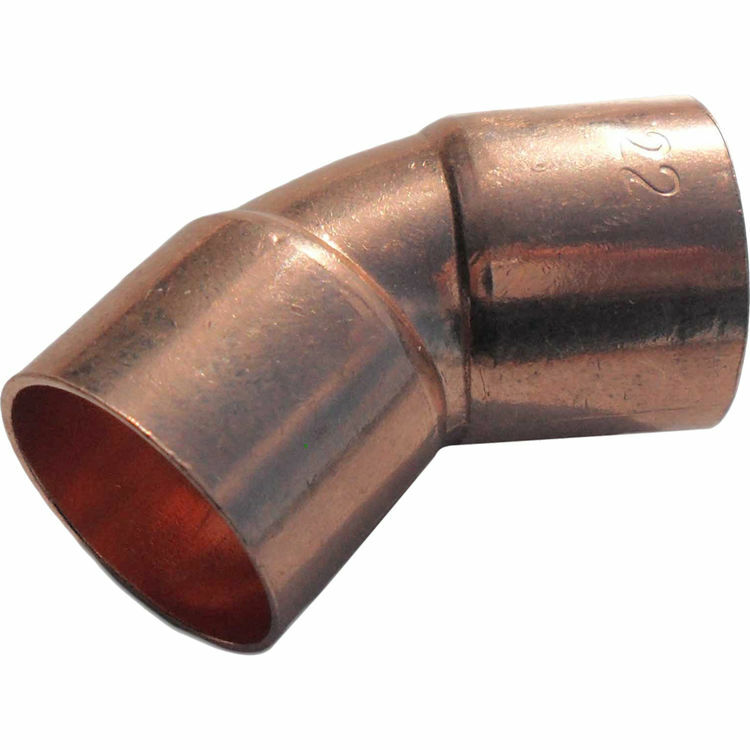 When installing the CPL4534 3/4" Copper 45deg Elbow, be sure to keep the fitting and a pipe clear from debris, and protect yourself from the heat being applied for soldering. Fitting is pressure tested before leaving the factory.